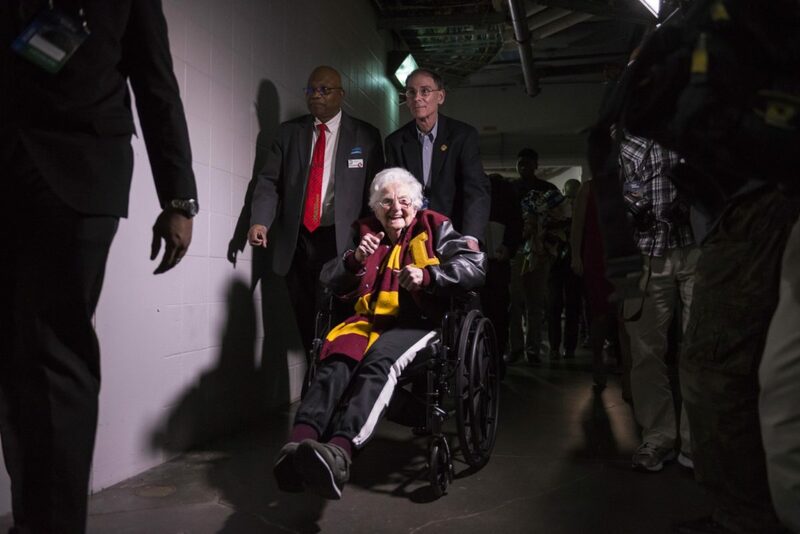 Loyola’s Sister Jean, the men’s basketball team chaplain and unexpected media sensation drew national attention as the Ramblers began their historic March Madness run. Now, she’s gone international. The overseas coverage has continued as Loyola cleared a 55-year hurdle to compete in the Elite Eight for the first time since its historic 1963 run. Google trends data shows interest in Sister Jean across North America, Mexico, Peru, Europe, Australia, India, the Philippines and Singapore. 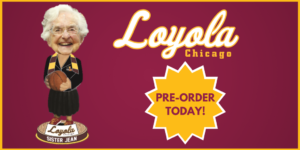 “Loyola participates for the first time in 33 years in March Madness and, despite not being a favorite in betting, already slipped into the final stages of the championship, driven by the faith of [Sister] Jean,” wrote Mexican newspaper AM after Marques Townes buried the team’s third game-winning three of the tournament. 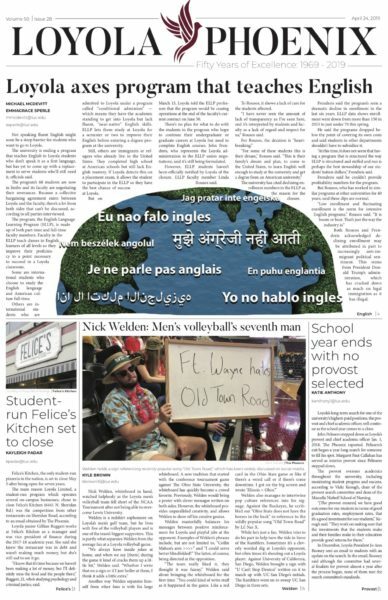 “Loyola-Chicago takes the spotlight” wrote El Diario de Juárez in an article that highlighted the team’s beloved chaplain. Across the pond in England, Alex Raskin of British tabloid Daily Mail, wrote that Sister Jean’s March Madness bracket — in which she predicted Loyola would lose in the Sweet 16 — was busted Thursday. Elizabeth Czapski, a recent Loyola graduate who now lives in Wieselburg west of Vienna, Austria, said she hasn’t been able to watch the games because they’re in the middle of the night there, but she’s kept up with the team through social media. Italian sports newspaper La Gazzetta Dello Sport called the Ramblers a “Cinderella,” featuring a photo of Sister Jean embracing Loyola’s Donte Ingram. Loyola graduate Johanna Giuriolo, a native of Verona, Italy who’s studying African politics in London, saw the article on social media. Like Czapski hasn’t been able to watch the games live because they’re in the middle of the night London time, but said it’s awesome Sister Jean’s having her time in the spotlight. In a lengthy analysis of Loyola’s bout with Nevada, Italian blog BasketballNCAA.com described Sister Jean as “a phenomenon of the net,” who’s won over the hearts of all those she meets.